In terms of fears, losing my locks is up there with having to be near any false teeth or losing my own and having to have false ones *shudders*. I want to keep my hair in good condition and am lucky that my parents both still have a full head of hair, but one of my work colleagues who is just slightly older than I am, has hair which has really thinned out over the last year. Hair loss is not just a problem I’m facing (with gritted teeth) it’s a condition that affects men, women and children. 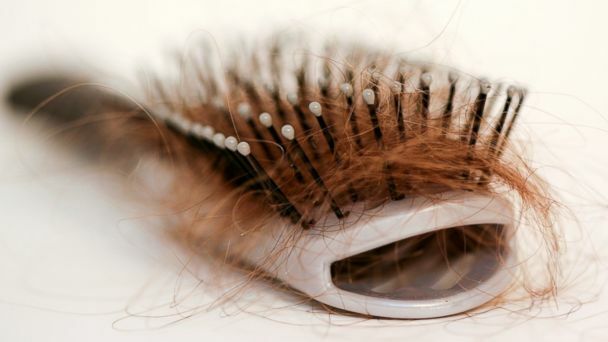 There are different causes for why people lose their hair and there are also different treatments out there. It can be a natural occurrence or it can be due to a whole host of medical conditions. Newspapers are full of stories featuring celebrities who have lost their hair or are losing their hair and have had treatment to correct the issue. Over the years, a lot of people who have suffered hair loss now have a head full of hair, all thanks to Hairline Ink’s Orian Barzilay. Hairline Ink is an industry leader in Scalp Micropigmentation or SMP. This is a form of hair loss treatment that doesn’t involve any surgery (a win for me as I hate hospitals and as my brother is a doctor, they scare me to death). Although likened to getting a hair tattoo, the process involved in this procedure is highly specialised. Practitioners simply use a needle that deposits pigments into the skin that result to natural looking shaven hair. You also don’t have to do it as often since it lasts for three to five years. This procedure has helped change the lives of a lot of people by making them feel more confident and it’s something that I have increasingly looked at to bring the hairline back down. Orian Barzilay is the leading practitioner of SMP at Hairline Ink. He knows how difficult it is to lose your hair, especially at a young age. What drives him to help others is his passion, experience, and artistic ability. Passion. Orian’s passion stems from his personal hair loss experience at the age of 17. This led him to be depressed and to turn to a hair transplant. He had the procedure done at age 21 but it was unsuccessful. Later on, he tried SMP and, as they say, the rest is history. His passion for caring for each procedure that he performs is because he himself knows how it feels like to experience premature baldness. He understands what a person is going through when he or she loses hair and knows how their lives will really change when they go through SMP. Experience. He finished at the top of his training class and immediately started working in the hair clinic industry. He is also not only limited to consultations and performing treatments but has also travelled across the US to raise awareness about hair loss and SMP. His extensive experience in transforming people’s lives one follicle at a time explains why he is the lead practitioner at Hairline Ink. Artistic ability. Orian creates an impact on others by sharing the positive results he has gained from undergoing SMP. He is able to apply his ability to create works of art, paintings, designing and creating clothing, to Scalp Micropigmentation. This eye for detail is what helps him create change in the lives of others. And the end result is a very happy client with a head full of hair. You don’t have to deal with the embarrassment of losing your hair. There are treatments available and Scalp Micropigmentation is one you should consider, especially when Orian Barzilay could perform your procedure. The passion in their work is all because of their experience and because they know that there are brighter things in the future because of SMP. Get back your self-esteem and join others who now have a new perspective on life.